Go behind the scenes with Matchbox Twenty on their journey Down Under to promote the release of NORTH, their first studio album in ten years! Matchbox Twenty invited aspiring photo-journalist and contest winner, Jarrad Seng, to travel with them and document the band's Australian tour. This photo book features Jarrad's incredible photography from that tour along Jarrad's Journal, which chronicles his adventures with the band, the crew, and Matchbox Twenty's dedicated fans. 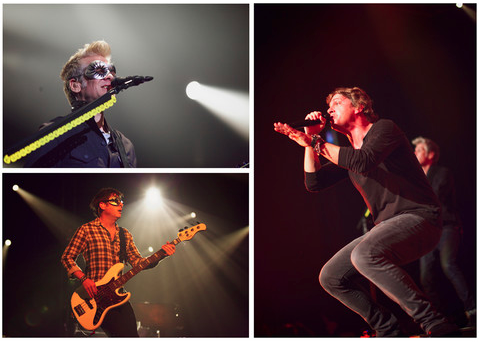 Experience Matchbox Twenty like never before - throught the viewfinder of Jarrad's camera. Features include: Tour Photo Book, Jarrad's Journal, exclusive interview content with the band and crew, live audio and video from the tour in Australia, and special bonus interactive content! This book is available for download with iBooks on your Mac or iOS device, and with iTunes on your computer. Books can be read with iBooks on your Mac or iOS device. Books with interactive features may work best on an iPad.